The African Natural Resources Center at the African Development Bank (AfDB), in collaboration with OpenOil, recently released a report entitled “Running the numbers: How African governments model extractive projects.” Using a survey of government officials in 20 resource-rich African countries, the study evaluates the extent to which and how financial models are used in Africa’s resource-rich countries. These financial models are important because their outcomes can be used to inform government policies and business decisions, among other things. Financial models are typically used by extractive industries, sponsors, and investors with the aim to assess the financial feasibility of projects under a range of technical, operational, market, and regulatory scenarios. The study finds that African governments are increasingly using financial models. The models are used to assess the variations on outputs given a variation in input. African governments have been using the models in order to support their roles as the trustees of extractive industries on behalf of their citizens. The models provide critical information to governments, thus informing their negotiating positions with regards to resource contracts, production-sharing agreements, and ex-post assessments of revenue streams. To illustrate how financial models can play a role in helping governments make decisions on production outcomes, the report gives the example of the Kayelekera Mine, the largest mining investment in Malawi. The mine halted production in 2014 due to low uranium prices (which resulted from the Fukushima nuclear disaster). In the report Kayelekera Model & Narrative Report, OpenOil creates a financial model that shows the setbacks the mine could face if it were to resume operations. For instance, the mine needs a price of $58 per pound of uranium, almost triple the May 2017 uranium price of $22/lbs, to break even. The model thus recommended halting uranium production from the mine due to poor profitability, which is what the government did. The creation and use of an effective model requires robust and accurate data in order to yield reliable estimates; however, this data is often difficult to obtain. In order to assess the importance of different data points in creating these financial models, the AfDB and OpenOil’s survey with government officials asked about the difficulty of accessing data (Figure 1). 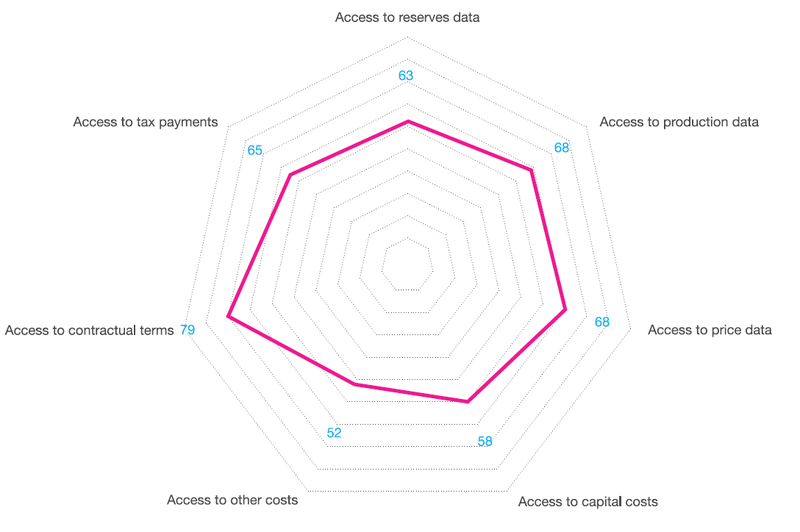 According to the respondents, access to information on costs (including capital costs) seems to be the hardest to obtain, though access to other data points overall is quite low. The report attributes the large gap to poor geological information and the public sector’s low ability to monitor extractive operations. Source: AfDB and OpenOil, 2017. In addition, actors state that there is a large gap between the importance of the needed data and its access. As seen in Figure 2, the gap is smallest for tax payments and contractual terms: 10 and 15 percent, respectively. Conversely, capital costs, other project costs, and reserves data have an over 25 percent gap between access and importance, the highest among all indicators. These data are generated and stored by the extractive industries, and since the industries are not consistently sharing the information with governments, those governments face information asymmetries. The report thus suggests that governments enact legislative requirements and clauses in contracts that require data sharing by actors in extractive industries. In addition, the report recommends that governments create clear boundaries of proprietary data—clearly defining the ownership status of the data used for the financial models—and enforce set defined data-sharing schedules in order to improve modeling abilities.